In today’s hyper-responsive, social media focused world, it may seem a bit antiquated to spend time updating your web site. The truth, however, is that regular website updates will help create a more expansive digital presence for you and your business. Thus, we suggest making updates to your web site on a monthly basis (or more often). This may seem challenging, but as we’ve highlighted below, with a CMS system in place this process can be done quite quickly and easily. One of the most useful current trends in web design is the carousel (for a sample, check out our home page). Not only does it present visitors with a changing screen (thus catching the eye more than a static page) it also allows for quick and easy website updates. Since many systems will allow you to create an additional page for the carousel, you can leave the others in place and simply add a new, more up to date item that covers a different aspect of your business. If you’ve launched a new product, added a new service offering or just have a new blog post, this is a great way to highlight the content not only to new customers, but existing ones that may not be familiar with the addition. If design constraints or costs limit your ability to regularly refresh your site, all is not lost. As we’ve often discussed here on the Weblog Blog, a blog is a great tool for creating new content that speaks to your current and future customer base and, given the variety of platforms can be done for little to no cost. If you already have a CMS system in place, such as Joomla! or Drupal, you can easily include a blogging add-on to your current system. A frequent problem with social media is the need to have something timely and important to say that doesn’t repeat what you’ve already talked about. One of the advantages of regularly updating your web site is that it allows you to then reuse that same content as a potential Twitter/Facebook/etc. update. Announcing a new product on Twitter and then providing a link back to your freshly created web page on that product allows new and current customers to get the exact level of detail they need – either a short overview with your tweet, or a more thorough product/service explanation on your web site. No matter what kind of website (or budget) you’re working with, updating your website should be a key priority each month. If you need any help, feel free to reach out to us any time. It’s often been said that business, much like history, operates in cycles. In fact, the concept of the business cycle dates all the way back to the year 1819. In terms of creating increased brand visibility online, what once was old is a new again: word of mouth. Long before the Internet, advertising or even widespread literacy, word of mouth was how merchants helped increase their business (coincidently, the term “word of mouth” originated in the same decade as “business cycle”). If you built a better shoe, baked a better loaf of bread, or sewed more durable clothes, you would be sought out for your skills. Hundreds of years later, massive brands spent billions of dollars on mass-market advertising, hoping to sweep up potential customers using the most general ads possible. With the advent of the Internet (and, more preciously, Google’s incredible revenue generating machine known as Google AdWords) companies were able to target the exact users and potential customers they were most interested in. While still a powerful moneymaker for Google, building online brand visibility has shifted to social networks. Why, the thinking goes, spend money on advertising when you can have the users do it for you for free? While logical an idea in theory, this is incredibly difficult to do in practice. At the onset of a brand visibility push, it is an excellent idea to have specific goals in mind. What metrics do you want to use to measure the success of the program? Specific percentage increase in daily website visitors? Increased social media engagement? More monthly leads? Increased foot traffic into your store? 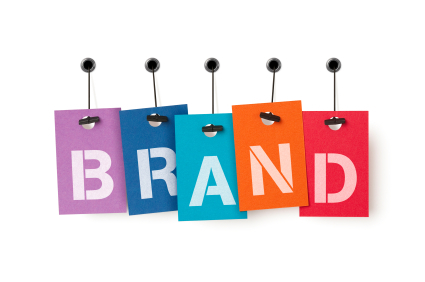 Having these concepts in mind will make it easier to help create and define the brand visibility campaign. One of the most important aspects of increasing brand visibility is a consistent push across all avenues of your online presence – social media, SEO, and pay-per-click programs all need to be reviewed, updated and coordinated as the program moves forward. There are numerous advantages to this. For example, if done correctly, content created for one area can be used and repurposed as a starting point for another. Just as importantly, however, is the need to avoid repetition. Nothing turns users off more than unwanted, irrelevant or duplicative contact from brands and companies. As the program moves forward, if the predefined goals are not being met, the exact “mix” of SEO, social and PPC may need to be adjusted. While these types of programs have become highly refined over the years, creating the right blend for a particular company is far more art than science. Thankfully, here at Shift One Labs we are more than comfortable in this digital kitchen, and are ready to help your business define your online presence and build greater brand visibility. Just ask some of our friends. To be the first to know when we’ve released a new blog, simply sign up for our email list at this link. Setting up your first customer relationship management (CRM) system requires a significant investment of time and resources. In working with clients, we’ve learned that there are several misconceptions about exactly what a CRM system can do, and equally important, what it cannot do. We’ve taken some of these lessons learned to create the following Truths and Myths overview of the CRM world. Much like investing and orthodontia, the best time to start building a CRM system is as early as possible. The advantage of creating a CRM, even for small businesses, is that the initial setup and integration requires less time since there are few customers and therefore less data to convert or input. Equally important is the fact that, for many small businesses, the types of information that is stored in a CRM is often scattered about – in files, in Outlook, even the classic Rolodex. 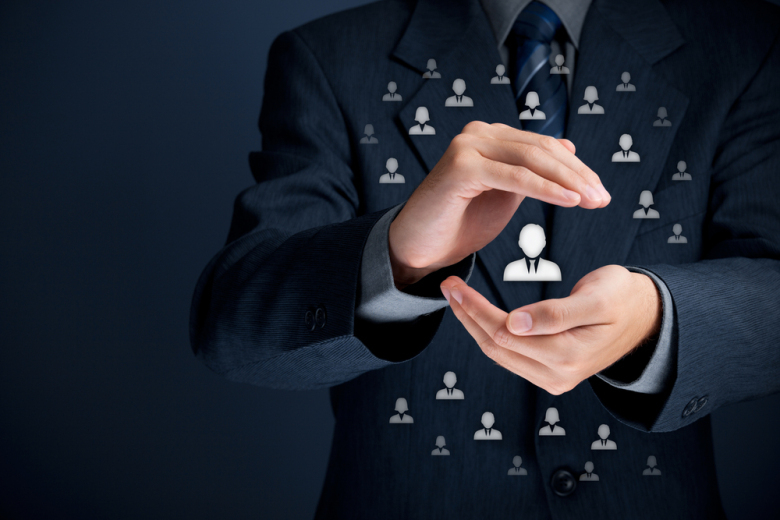 A CRM system allows small businesses to centralize their customer data in a single place. One of the key advantages of a CRM system is that it’s able to generate detailed information on your customers, providing insights that might otherwise be overlooked. Equally important, CRM systems help internal teams communicate more efficiently through shared knowledge as well as avoid the dreaded problem of requiring customers to re-enter data or be asked the same questions by different employees when they request information or status updates. In the early days of CRMs, and computing in general, there were limitations on the amount of data that these systems could store. However, with the drastic increase in computing power as well as a drastic decrease in the cost of storage this is no longer an issue. In addition, using open source systems (such as SugarCRM) helps ensure that any CRM system will be fully scalable no matter how large (or how quickly) your business grows. Here at Shift One Labs we’ve worked with numerous clients that are setting up their very first CRM system. This experience has taught us that having a direct, straightforward conversation about the timeframes involved to create, or transition, a CRM system makes for a far more efficient process. We believe in providing accurate estimates and ongoing updates throughout the entire process. We also know that a well-built CRM system will provide significant and ongoing ROI. It is an age old (computing) maxim, but the data you get from a system is only as good as the data you put in (or, more colloquially, garbage in, garbage out). For this reason, you will want to define (in writing) exactly how each field in the CRM system will be filled in. This way, no matter how the system is updated, it is done in a consistent, accurate manner. We hope this has helped shed light on a few of the lessons we’ve learned during the initial creation and transition of CRM systems for our clients. If you’re interested in busting a few more myths, you might find this enlightening: Common Myth & Conceptions. RICHMOND, Va. (March 2, 2015) – Shift One Labs, a forward-thinking web development company that builds dream websites for entrepreneurs and businesses of all sizes, today announced the company’s rebranding initiative with the launch of their new name, logo and website to celebrate five successful years in business. Formerly Reibsamen Web Solutions, Shift One Labs’ new brand aligns with the bright minds of today’s generation of business owners, and connects with these business owners by providing them with custom, top-of-the-line websites. The new website, created by Shift One Labs using some of the newest technologies, allows for a streamlined user experience with improved navigation and direct, personal messaging. With responsive design, the website is compatible with any device and offers live chat assistance. The new website also offers transparent team member profiles, a resourceful blog, an in-depth client portfolio, and social media integration. 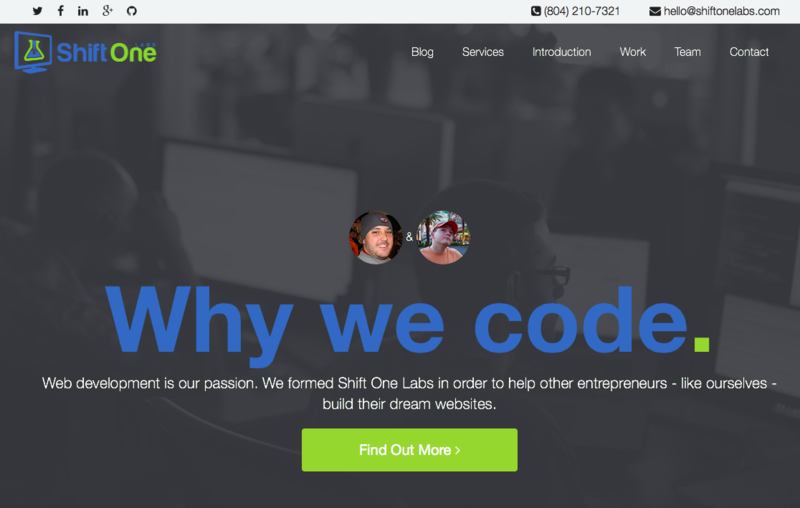 Shift One Labs is a forward-thinking web development company located in Richmond, Virginia that helps build dream websites for entrepreneurs and businesses of all sizes. Shift One Labs was established in 2010 by founders Daniel Reibsamen and Patrick Carlo-Hickman, who together have nearly 20 years of experience in the web development industry. Shift One Labs specializes in understanding each individual business, their industry, and forecasted goals and trends and utilizes this information to consult with businesses and construct an innovative and effective website customized to support company success. To learn more, visit http://www.shiftonelabs.com or connect with Shift One Labs at Facebook, Twitter, LinkedIn and Google+.